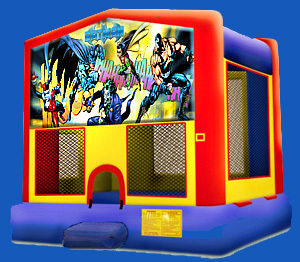 Our Jumpers below provide over 160 square feet of pure bounce! 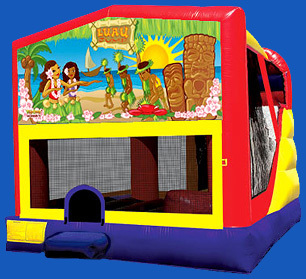 Play, jump and laugh in our Dora The Explorer Jump. 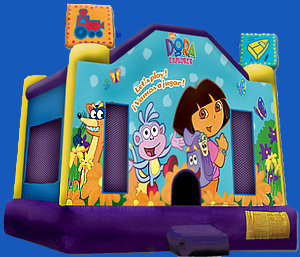 Our Dora Jump is designed to engage children in a play along adventure with Dora and her monkey, Boots. Together they will bring their quest-filled journey right to your event! Having a birthday party, but don’t have a theme yet? 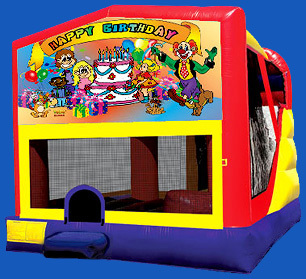 Consider our Happy Birthday Jump. 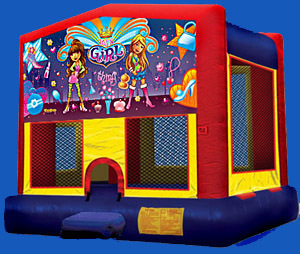 This jump is ideal for boys and girls, and is perfect for this occasion! Who lives under a pineapple deep in the sea? It’s everyone’s favorite, Sponge Bob and Patrick! 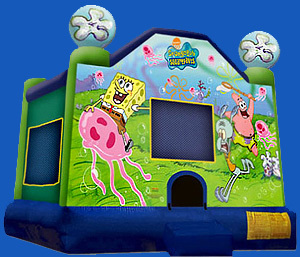 Let Sponge Bob and Patrick’s misadventures come to life in our Sponge Bob Jump. Let Sponge Bob and Patrick turn an ordinary event into a special one! Looking for Disney’s magical Stars? Well, look no more. 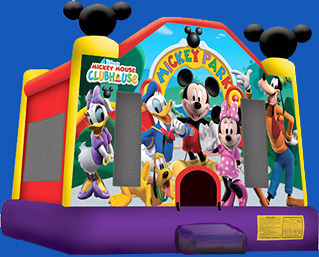 Our World of Disney Jump brilliantly features: Goofy, Donald, Hercules, Cinderella, Tigger, Peter Pan, Mickey, Minnie, Eeyore, Alice from Wonderland, Pinocchio, Mulan, Pocahontas, Lilo, Pooh, Snow White, Simba and many more. Yes, they are all here waiting for you! 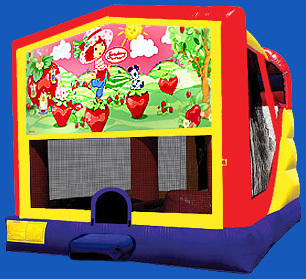 Imagine, sing and bounce all day in our Tinker Bell Jump! 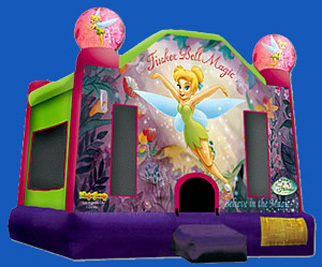 Our Tinker Bell Jump is the latest creation to fairy dust to make your soiree a magical one! Your time spent here will be a special one to remember! Want more? 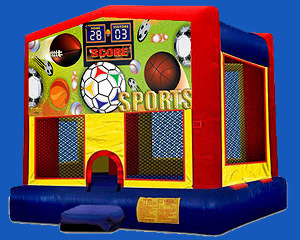 Consider our Sports Jump. 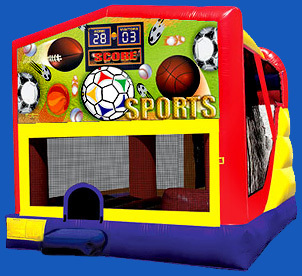 Our Sports Jump is perfect for all size gatherings of friends and family, and all other non-themed special events and occasions! 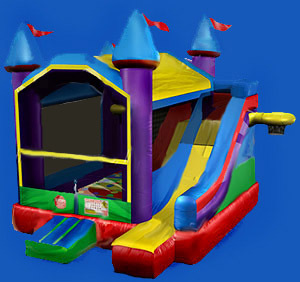 Looking for a castle or just a generic jump? 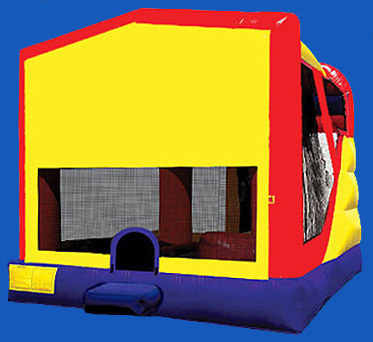 Consider our Castle Jump. 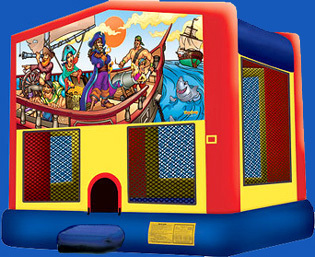 It is perfect for any type of special event or occasion. 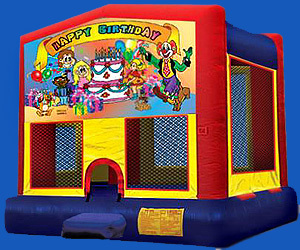 Plus, its bold and brilliant colors will make every child's eyes light up as the jump is inflated! Looking for some action? 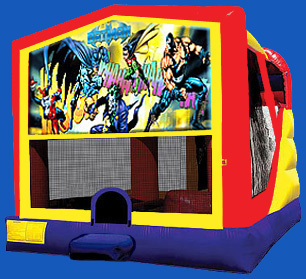 Consider our Batman Jump, and experience a timeless true super hero adventure. Batman is one of the greatest super heroes ever! Looking for a new adventure? 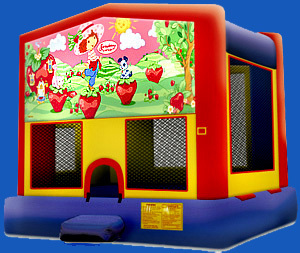 Consider our Strawberry Shortcake Jump, and enjoy the biggest berry adventure in this Strawberry’s house. Bring all of your biggest berry friends and learn how working together you can make dreams come true! Looking for an amazing robot experience? Well, look no more. 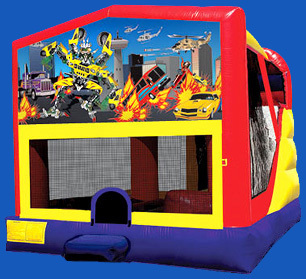 Our Robo Car Jump is the next best experience to “Transformers”, so let the action begin! Let Lightning and his friends from Carburetor County rev up the party! Our Cars Jump brilliantly portrays graphics of Lightning, Flo, Doc, Mater and other big screen residents from Carburetor County. 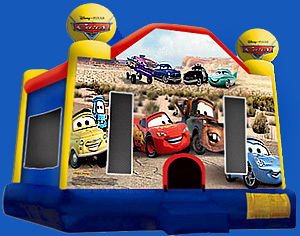 Together they will bring a “Cars” life-size experience to your event! 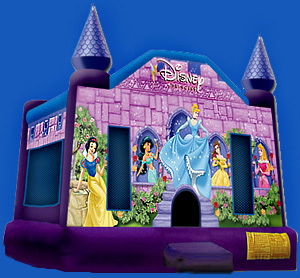 Dreaming is easy in our Disney Princess Jump. 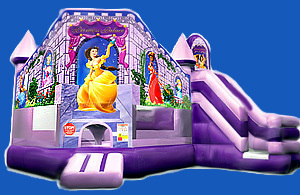 Here is Snow White, Cinderella, Sleeping Beauty, Jasmine and Belle come together in a castle worthy of another princess. 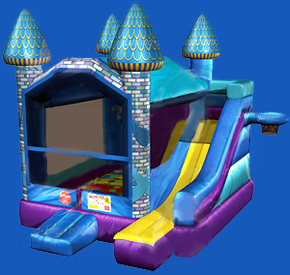 Our Princess Jump will make your special occasion into a perfect one! 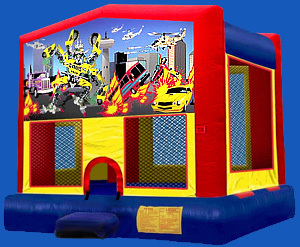 How about our larger 18’ X 22’ 3-in-1 Combos below with over 250 square feet of pure bounce? 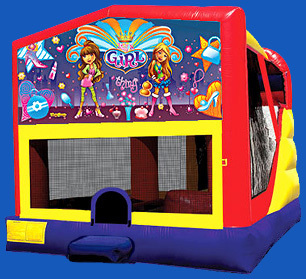 Each featuring: a bouncing area, a climbing area, a slide, amazingly detailed digital graphics, and childproof finger-safe netting!!! Let the fun begin. 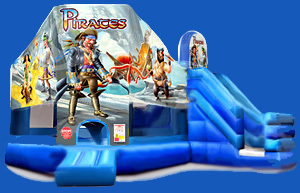 Are you ready to play with a band of notorious pirates? They sure hope so! Let your dream come true. Enjoy a timeless adventure in this princess palace. This you will never forget! Let the trouble begin. It’s the animals that run the zoo, and you are invited to join them! Let the magic begin. Enjoy flights of fairy and fantasy: for at night, the fairies will come to play! 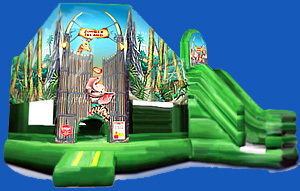 your imaginary jungle adventure in this jungle island club. Looking for more action? 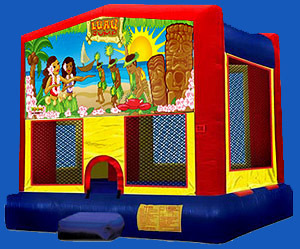 Consider our Jungle 5-in-1 Combo, which features: a huge bouncing area, a crawl-through, a climbing obstacle, exterior slide, an interior and exterior basketball hoop, and an Entanglement game mat sewn onto the bouncing surface! Still with Child-proof finger-safe netting! It is perfect for any type of special event or occasion! Looking for more action? 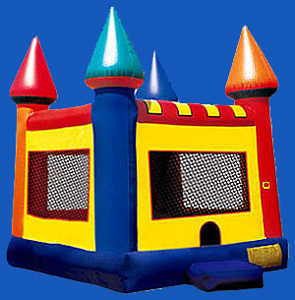 Consider our Generic Castle 5-in-1 Combo, which features: a huge bouncing area, a crawl-through, a climbing obstacle, exterior slide, an interior and exterior basketball hoop, and an Entanglement game mat sewn onto the bouncing surface! Still with Child-proof finger-safe netting! 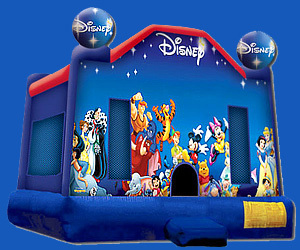 It is perfect for any type of special event or occasion! Looking for more action? 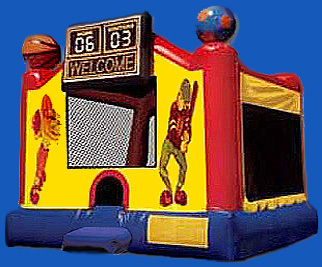 Consider our Castle 5-in-1 Combo which also features: a huge bouncing area, a crawl-through, a climbing obstacle, exterior slide, an interior and exterior basketball hoop, and an Entanglement game mat sewn onto the bouncing surface! Still with Child-proof finger-safe netting! It is perfect for any type of special event or occasion! Looking for more action? 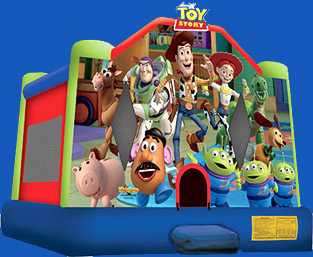 Consider our Generic 5-in-1 Combo which features: a huge bouncing area, a crawl-through, a climbing obstacle, exterior slide, an interior and exterior basketball hoop, and an Entanglement game mat sewn onto the bouncing surface! Still with Child-proof finger-safe netting! It is perfect for any type of special event or occasion! 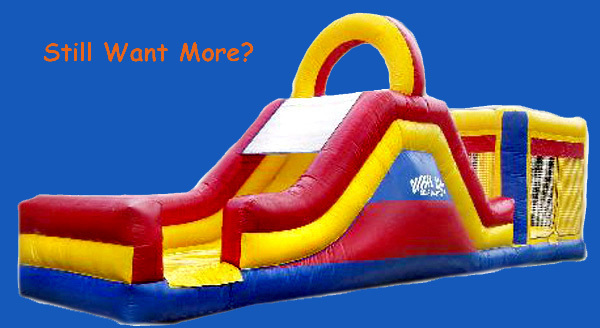 Need a slide? 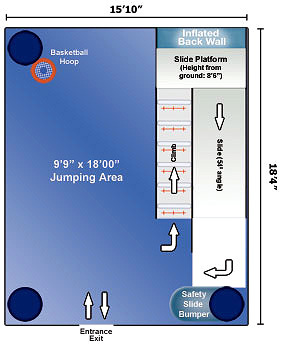 Consider the "Lil’ Splash" slide. It’s perfect for any size gatherings, big events or just to cool off in the hot summer. 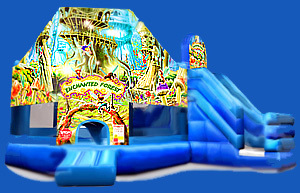 Lil’ Splash is ideal for children between the ages of 4 and 16. Feel like having some fun? 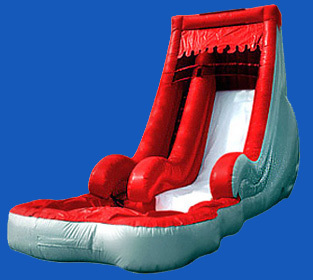 Need a bigger slide? 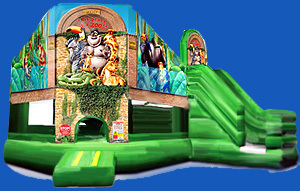 Try our "Volcano" slide: it will leave every one of its riders screaming... for more! 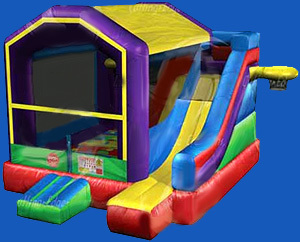 It's the perfect slide for a big event, or for the entire family! Are you ready for it? 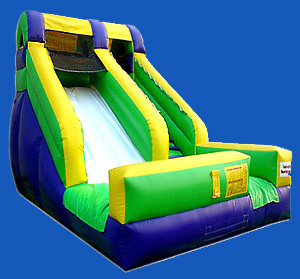 Dimensions: 13 feet wide, 16 feet high and 32 feet long on a 52° angle slide drop. Plus, a spacious pool for true enjoyment at the landing area! 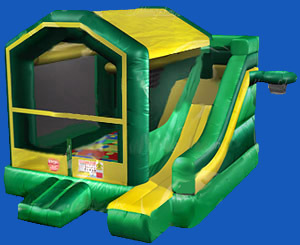 Consider this 3-in-1 Combo with over 250 square feet of pure fun? 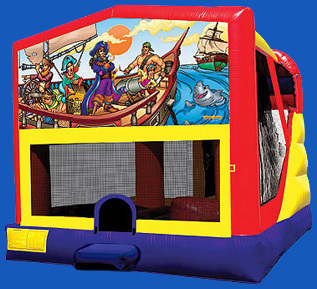 It features over 160 square feet of pure bouncing area, a climbing and slide area, and still with childproof finger-safe netting!!! This makes it perfect for any special event.